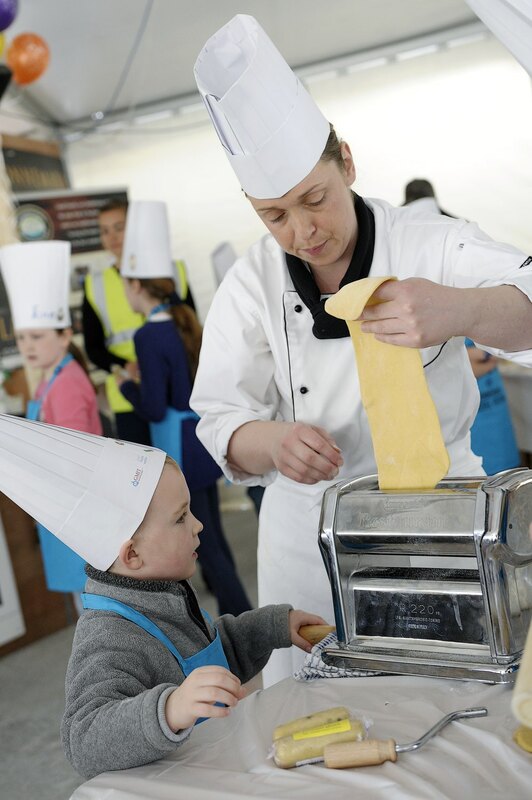 The bank holiday in the first weekend of May typically ushers in the start of the Irish food festival season. It would appear that most festivals these days are in thrall to the large corporate food companies and their stealth-like sponsorship. Luckily, the annual Connemara Mussel Festival in Tullycross seems to have escaped that unfortunate stigma. 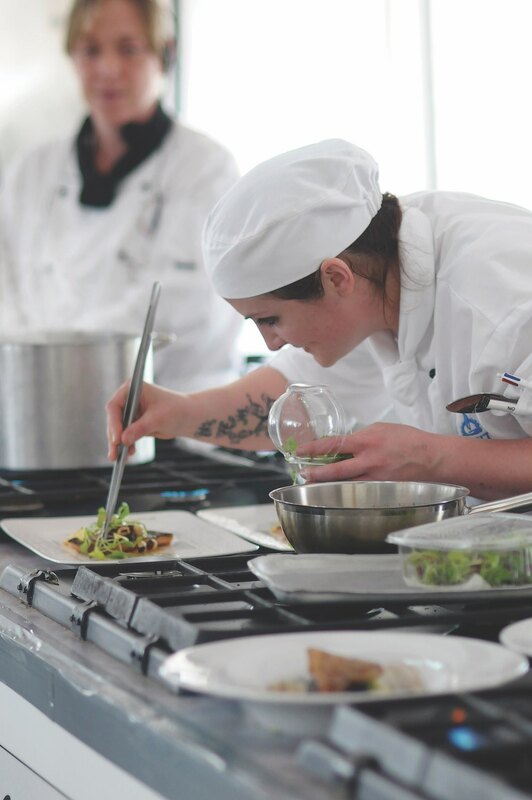 For two whole days in May, this lovely little village is home to a food festival so unspoilt and positively bursting with good humour, it truly captures the whole essence of what a food festival should be about. Thankfully untouched by the professional exhibition specialists, the Connemara Mussel festival (last year’s winner of the Irish Food Festival of the year) is organised and run by a group of wonderful volunteers. The result is a great atmosphere and a relaxed feel about the event. The many stallholders who attended had an extraordinary array of home-grown produce—and there was not a commercial food company in sight. The audience, too, is splendidly eclectic, ranging from the BMW-driving ‘foodies’ to local food fanciers. Harassed mothers with hyperactive children and neatly ironed senior citizens with their ‘his and her’ thermos flasks were in attendance. There were, of course, also the mandatory festival professionals, complete with dreadlocks and dreamcatchers, offering henna tattoos in exchange for pints of Guinness. It appears that the star of the show, the humble bivalve, is doing rather well for itself, having finally shaken off its status as the trailer park relation of the shellfish family. 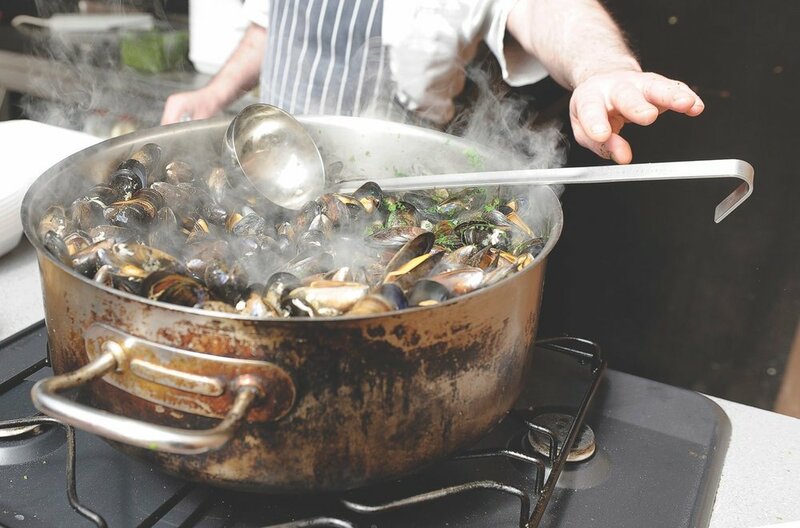 The various cooking competitions over the weekend expertly showed off in rather imaginative ways the sheer variety of recipes available for this magnificent mollusc. 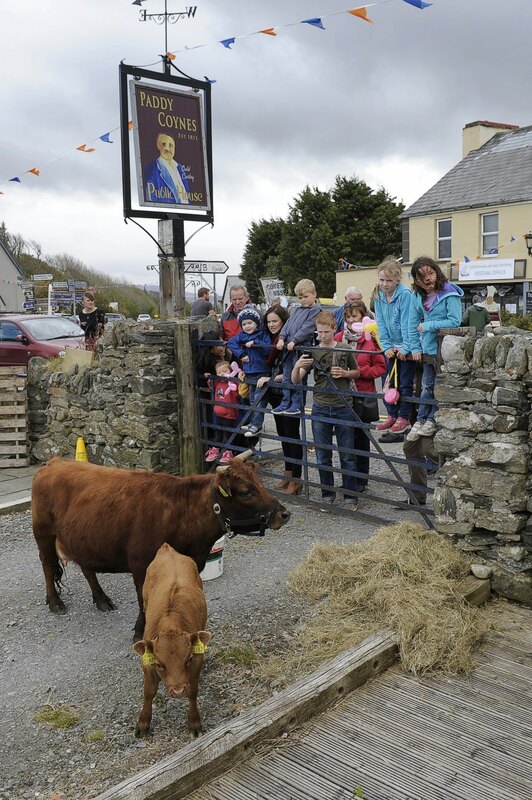 Much of the event is unticketed, meaning that everyone meanders around the single street looking at the various craft and artisan food stalls and occasionally stepping out of the way to avoid crocodiles of newly face-painted children coming out of the many child-friendly events on their way to look at Ireland’s smallest cow. Being a city dweller most of my life, I was interested in what this cow would look like, thinking it would be the size of a chihuahua. I was somewhat disappointed to discover that it was, in fact, a slightly smaller cow than an average small cow. The anticlimax of seeing the not-so-diminutive bovine was quickly forgotten when I heard the throaty roar of motorcycle engines coming into the village. At first glance, it appeared to be a gang of superannuated Hells Angels and their equally vintage motorcycles. Sadly, on closer inspection, they all looked to be estate agents, dentists, and solicitors. Nevertheless, it seemed somehow in keeping with the spirit of the festival. There were many events over the weekend ranging from a session on organic vegetable growing to a 1970s-themed fancy dress disco. The Connemara Beekeepers Association and food media darlings John and Sally McKenna spent half an hour or so rhapsodising about the role of the bee and the many exotic varieties of honey to an occasionally mystified audience. There were also well-attended talks on a variety of seemingly unconnected topics such as W. B. Yeats, a history of Tullycross, and cave paintings, and there was a rather good art exhibition in the hotel next door. The one event I was determined not to enjoy turned out to be the most memorable. Normally any event prefaced with the word celebrity fills me with dread. So, with some trepidation, I took my seat to watch Irish television personalities Sean O’Rourke and Michael Lally take part in a celebrity chef competition in the special marquee erected for the weekend. They immediately won the audience over by debating the conundrum of whether to stir clockwise or anticlockwise, as well as gleefully exchanging anecdotes about grandmothers whilst chatting, arguing, and trying in vain to follow their recipes. These things always appear to have an air of being previously rehearsed, but in this case the cooks’ naturally ebullient personalities and their valiant (but sadly inefficient) attempts at chef superstardom breathed life into a somewhat hackneyed formula. Leaving the marquee, I managed to get tangled up in a posse of thirsty German tourists just back from a guided walk along the coast. After untangling myself and waiting for the walking rucksacks to move away from the door of the pub, I too decided it was time for refreshment. After fortifying myself with a pint of the black stuff and a bowl of mussels (and rather nice they were too), I then wended my way back to the artisan food stalls. The producers of these artisan foods are sustained by a ferocious belief in their products. One lady cheesemaker was championing organic cheese with the same eloquence and conviction that the Pankhursts once used to agitate for women’s suffrage. Her objective—one I think we all would commend—is to dilute the market share enjoyed by the ubiquitous processed cheese. Which segues rather neatly into a final memory of a marvellous weekend: sometime after his leather-clad colleagues had ridden off into the sunset, the sight of one remaining aged biker trying to cajole his machine back into life whilst trying not to drop a well-wrapped lump of Connemara artisan cheese pretty much summed up all that was right about this wonderful event.